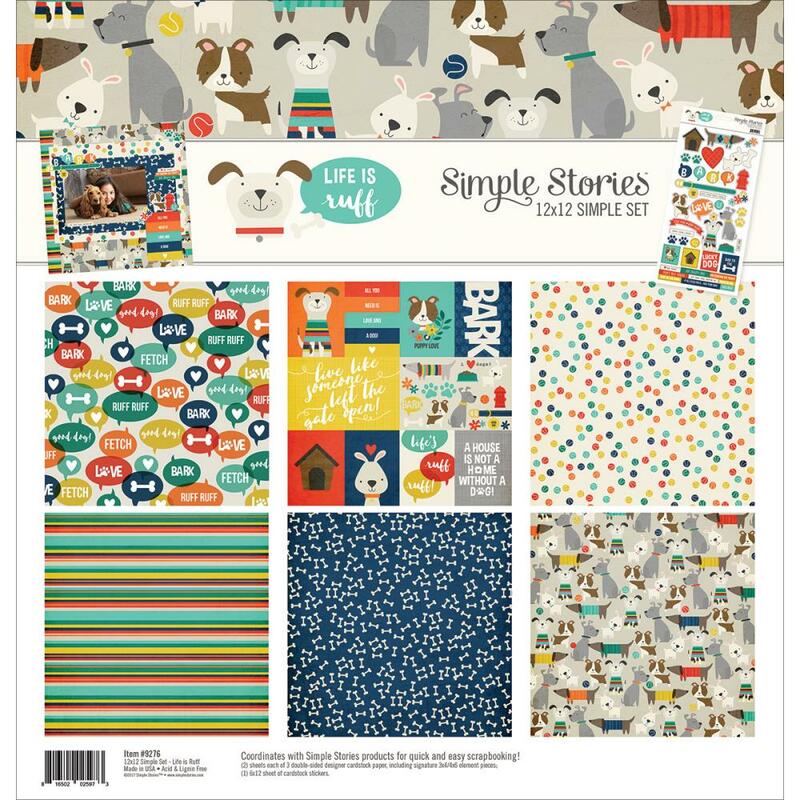 This 12x12 Life is Ruff Collection Kit has a total of six (6) Designer Papers. You'll find three (3) Designs and two (2) of each Design. In addition, there is a 6"x12" Sticker Sheet. This is a Mini Collection with Element Stickers and three (3) Designer Papers. Live is Ruff Collection by Simple Stories.